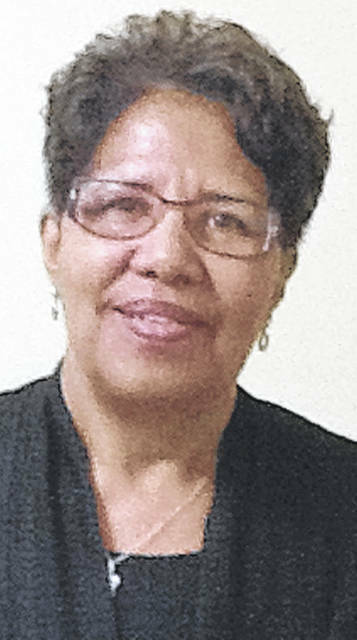 Longtime local public servant Patty Burns will be the honoree when the annual Highland County Church Woman United Human Rights Celebration is held at 6 p.m. Tuesday, Jan. 22 at the Cornerstone Assembly of God. Burns has been led into many unique and unexpected situations while serving her God and the Highland County community, Highland County Church Women United said in a news release. Born and raised in Hillsboro, Burns graduated from Hillsboro High School. She grew up with her family and friends in the Hillsboro Wesleyan Methodist Church on North East Street. The church was pastored by a series of ministers from the Dayton area. Burns served as a Sunday school teacher and fill-in pastor when needed. She had no thoughts of going into the ministry, but in 2000 was asked to consider becoming the Wesleyan church’s permanent minister. After being interviewed, Burns was accepted and ordained by the Wesleyan District superintendent, the news release said. Over time, the congregation changed and became known as Resurrected Truth Ministries. The church building on North West needed repairs that the owner could not provide, so the congregation moved first to the Samaritan Outreach Services building, and then to SR 73 where it stayed for many years. During that time Burns also worked at MAC Printing, as the Samaritan Outreach bookkeeper, and also served on the Samaritan Outreach board. In 2016, Burns was approached by Pastor Mark Smith of the Cornerstone Assembly of God, located a half mile south of where Resurrected Truth Ministries was meeting. Smith suggested to Burns that their congregations join together with Smith serving as senior pastor and Burns as associate pastor. Despite the difference in the two congregations’ makeups, the two churches were in agreement and joined together in January of 2016. Two other Hillsboro area congregations have since joined Cornerstone — Living Waters Worship in 2016 and A House of Prayer in 2017. “Interestingly enough, some years before the merger an elder of Cornerstone had met Patty and was so impressed with her he told Pastor Smith he felt the two churches could unite and work together. Patty is now planning to oversee the Women’s Ministry at Cornerstone Assembly,” the news release said. In November of 2017, Burns was elected City of Hillsboro treasurer, the first African-American woman to be elected to citywide office in Hillsboro. She later resigned to take a position with the city water department. Burns’ husband, Lonnie, passed away suddenly in 2009. She is the mother of three sons, 11 grandchildren and four great-grandchildren. The Church Women United Human Rights Celebration originated in 2006 in the hope of bringing to light those who have and are working toward equality for all. Awards have honored women and men whose work has made an impact on their community or on the world at large. The celebration is open to the public. Those attending are asked to bring a cup or mug to drink from. Doorneweerd said that’s because Church Women United also concentrate on being environmental stewards and does not want to use plastic or styrofoam cups. For more information, contact Doorneweerd at 937-661-6087.